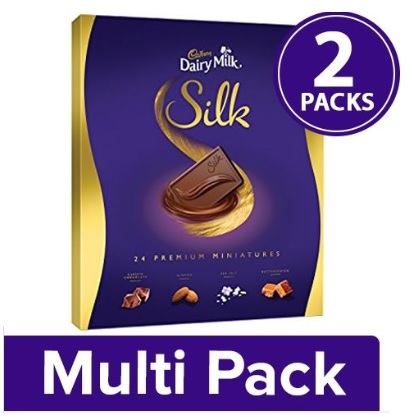 Cadbury Silk Dairy Milk Chocolate at 50% Off, Cadbury Chocolates at 50% Off on Big Basket, Big Basket back with huge offer of Cadbury Chocolates Miniatures Gift Pack, 2×200 gm at 50% Discount. Big basket selling Miniatures Gift Pack 2 x 200 Gram for Rs. 635 (40% Off). Add two quantity and Pay Via Payzapp to get Rs. 250 Cashback.